Ragnvaldsen trained as a business economist and has an MBA from BI Norwegian School of Management. 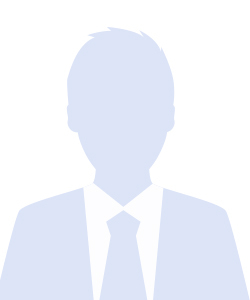 He worked in finance, sales and marketing for three years before joining Data Respons in 1995. He was previously the Sales & Marketing Director of Data Respons ASA and appointed CEO in 2003. Wahl holds a Siviløkonom degree (four-year program in economics and business administration) from BI Norwegian school of Management and has an MBA degree from INSEAD in France. He joined Data Respons as CFO in 2005. Previously, he has been CFO in Tandberg Storage ASA and has had various management positions within finance in Atea, Orkla and DNV GL. Arnø graduated from the Norwegian Business School (BI) with a Master in Finance (Siviløkonom). 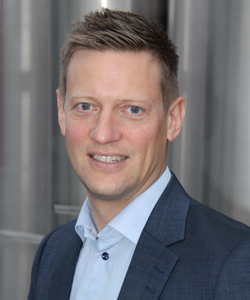 He has been working as an analyst in Handelsbanken Corporate Finance (2004-2005), management consultant and partner in Cardo Partners (2005-2013), and with Strategy and M&A in Aker Solutions (2013-2017) before joining Data Respons in August 2017. Toppe has an MSc in cybernetics from the Norwegian University of Science and Technology (NTNU). He worked with seismic exploration in various positions at GECO and was one of the founders of Data Respons back in 1986. 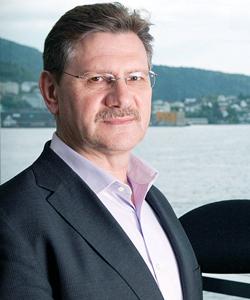 Toppe was responsible for R&D Services before appointed Managing Director of Data Respons Norway in 2002. He is now Managing Director for the Solution Business Unit in Data Respons. Sehm holds an MSc in Electronic & Electrical Engineering from the Heriot-Watt University in Scotland and a BSc in Electronic & Electrical Engineering from Oslo University College (HiO). Sehm has an extensive background from the embedded industry and has previously worked at the Norwegian Army Material Command, Sysdeco AS, and Geoteam Exploration. 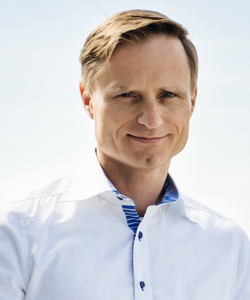 Jacobsson is one of the founders of Sylog and Profinder. He has a background in consulting, sales and business administration. 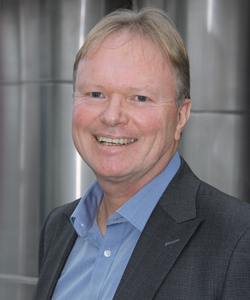 Previously has been Sales and Consultant Manager of Sylog and appointed Managing Director in 2009. Fahrenholtz has more than 20 years experience from product development services companies. He founded TechPeople in 2010. Prior to this, he founded Embedit, a company specializing in design and development of embedded software, microelectronics and mechanics. Kamutzki studied Physics and Computer Science at Ludwig-Maximilians University in Munich. After graduation, he co-founded MicroDoc together with Hendrik Höfer in 1991. Sauer, holds a Doctorate Degree of Law at the Paris-Lodron-University Salzburg. Joined EPOS CAT in 2006 as director of finance and controlling. Previously team member of an auditing firm in Ingolstadt. 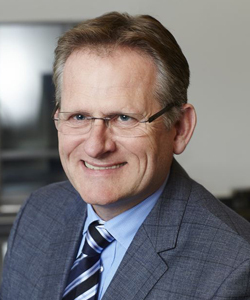 Sauer has been Managing Director at EPOS CAT GmbH since 2014. Lassmann has a Master in Computer Science and Economics from the University of Leipzig. His dissertation titled “Co-Browsing for internet based service and support processes” was finished in 2008 at the University of Leipzig. 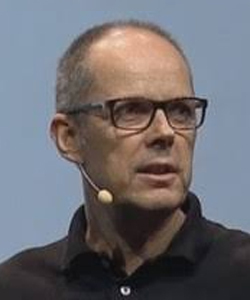 Lassmann was one of the founders and CEO of ITCampus in 1999, until it was sold to Software AG in 2009 – employing over 100 software developers. In 2011, he co-founded ITSonix with his brother. Lassmann is today the Managing Director of ITSonix and Xpure. Erik Langaker (born 1963) is a full-time technology Investor and entrepreneur. He served as a member of the board of Data Respons from November 2011 to April 2015 and was re-elected as Chairman in April 2016. He has extensive experience in building international technology companies through a combination of organic growth and targeted M&A. His experience includes well-known names like StormGeo Group, LINK Mobility and Talkmore Mobile. 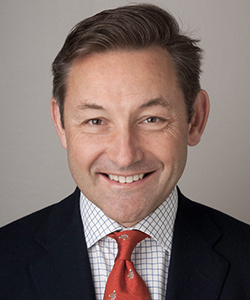 He currently serves as Chairman in CMR Surgical (UK) Ltd., CAMO Analytics, Brandmaster and Kezzler and non-exec. Director in HitecVision and Resoptima. Janne T. Morstøl (born 1968) is the CEO at Maritech Systems AS, a company providing software solutions to the global seafood industry. 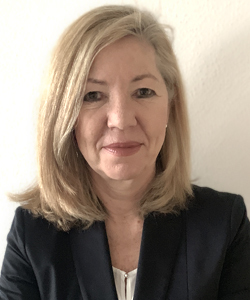 Previously she has spent more than 20 years in the broadcast industry and has held several corporate management positions in Nevion, latest Chief Strategy Officer, and COO/CFO at T-VIPS, a company she co-founded. Before 2004, she held several management positions in Tandberg Television ASA. 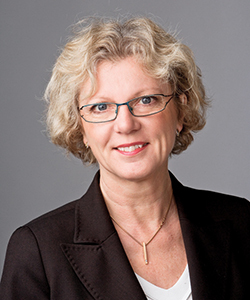 Ms Morstøl has board experience from listed and unlisted companies. She holds a MSc. in Electronics from NTNU and holds an MBA from the Norwegian School of Economics and Business Administration (NHH). Fräjdin-Hellqvist (born 1954) was elected to the Board in November 2011. 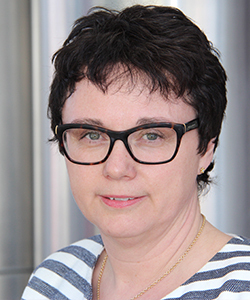 She holds an MSc in Engineering Physics from Chalmers and has held leading positions at Volvo Cars and the Swedish Confederation of Enterprise. 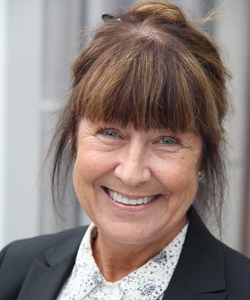 She has extensive board experience and is currently Chairman of the Board at Karlstad Innovation Park and board member at several public, private and state owned companies. Fräjdin-Hellqvist works as an independent contractor and partner. 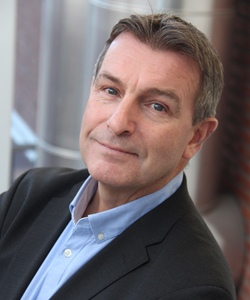 Morten Thorkildsen (born 1961) was elected to the Board of Data Respons in April 2018. Mr. Thorkildsen holds a MBA degree from BI Norwegian Business School and a bachelor’s degree in Business Organisation from Heriott-Watt University. 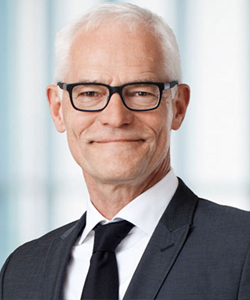 He has an extensive background from the IT industry having spent 27 years in various roles in IBM (from 2003 until 2013 as Country General Manager for IBM Norway) before becoming CEO of the engineering company Rejlers Norge AS in November 2013. Mr. Thorklidsen has since 2017 been fully employed by the South-Eastern Norway Regional Health Authority as technology advisor and chairman of the board in Sykehuspartner HF. He currently serves as chairman of the board in Itera ASA, chairman of the board in Winorg AS, and has previously been chairman of the board in the Norwegian Computer Association, and a board member of ICT Norway. 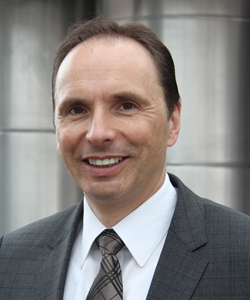 Martin Burkhalter (born 1952) was elected to the Board of Data Respons in April 2018. Mr. Burkhalter has extensive leadership experience from international companies such as CEO at Intersport International and President of Reebok EMEA. 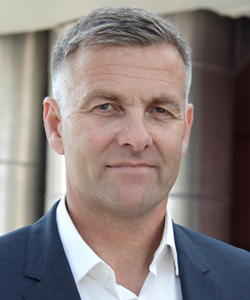 In April 2006, Mr. Burkhalter joined Vizrt ASA as Chief Commercial Officer, before he became Chief Operating Officer in June 2009 and CEO in May 2010, a position he held for 6 year. Mr. Burkhalter was Senior Vice President and Sports Director at Lillehammer Olympic Organization in 1994 and has board experience from listed company Amer Sports. Grübb-Weinberg (born 1955) was elected as an employee representative in April 2010. She holds a degree in social studies from Stockholm University and has broad experience from various technology-based companies. 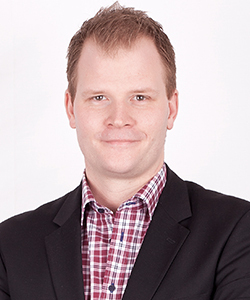 Grübb-Weinberg has worked in Data Respons since 2006 and is currently Account Manager at the Stockholm office. 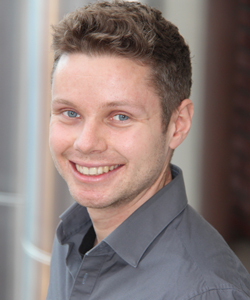 Marius Westgaard (born 1990) was elected as an employee representative in May 2018. He holds an MSc Eng in Engineering Cybernetics from the Norwegian University of Science and Technology (NTNU). Westgaard has worked at Data Respons since 2015 and is currently a Senior Development Engineer at the Høvik office.